Do you yearn to accomplish something remarkable with your life? Ever since I was a young boy, I’ve wanted to have a real impact on the world and create positive change in people’s lives. That’s why I became a teacher and worked in inner city Chicago during the early years of my career – and it’s why I became a professional speaker and felt called upon to write the Chicken Soup for the Soul series, the Success Principles, and all the other books I’ve written, training programs I’ve created, and films and videos I’ve appeared in. I want my time on Earth to mean something. I want to know that my presence here has made the world a better place. My team and I recently launched a powerful new online training program that provides all the tools and training you need to share my proven Success Principles with others – and help them reach their full potential and find more joy, abundance, and success in all areas of their life. 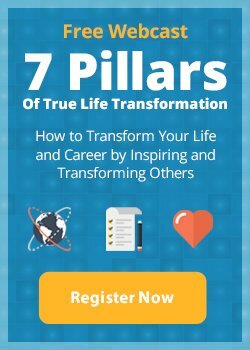 Not only will this program fulfill your desire to help others and have a positive impact on the world – you’ll create amazing change in your own life and career as well. And when you complete the work, you can become a Certified Canfield Success Principles Trainer. Imagine what that will do for your reputation and career! My new Train the Trainer Online program teaches you all the exact same material I have been teaching for the past five years in my Train the Trainer Live Program. Because I want to enlist as many people as possible to join me in sharing this powerful teaching with others, I decided to offer it as an online program as well. Imagine what the world will be like with millions of empowered people living their full potential? You can teach the Success Principles to any audience: private clients, employees of your company, members of any organization, schools, and more. You can teach in any venue: community centers, colleges, churches, schools, conference rooms, retirement communities, living rooms, on cruise ships – wherever works for you and your audience. PLUS, you can easily customize these principles or incorporate them into your existing teaching materials to amplify your effectiveness and get more powerful results. Every day, millions of people around the world take a look at their life and wish it could be different. They wish they were happier, more successful, and more deeply fulfilled. They wish they could heal their relationships, spend more time doing the things they truly love, and feel like they’re living their true purpose and having a lasting impact on the world. You can help them achieve their dreams. Through my new Train the Trainer Online program, you’ll learn how to truly master the Success Principles and teach them to others – using the same transformational teaching methods that I have developed over my 40-year career as a successful teacher, speaker, trainer, coach and corporate consultant. You’ll learn how to lovingly overcome people’s resistance to change and help them eradicate the obstacles that have been holding them back from achieving their full potential. You’ll help them understand that changing their life begins with no more effort than shifting a single thought. And you’ll help them rewrite the script of their lives to give them overflowing abundance and joy in all areas of their lives. By using my proven experiential teaching tools and exercises, you will reach deep into the core of their being and create positive transformation that will give them the confidence, determination, and heart they need to create all the success they want and deserve. You can use the resources straight “out of the box” or easily customize them to reflect your own unique purpose and objectives. We’ve designed the curriculum so that with minimal prep work, you’ll be able to step in front of your audience and help them learn my most powerful Success Principles to achieve more joy and abundance in all areas of their lives. Best of all, you’ll be able to do the training on your own schedule in the comfort of your own home! What kind of impact will this have on your life and career? As a Success Principles trainer, you can make a good income when you charge tuition for your workshops and seminars. Let’s say 50 people take your 2-hour workshop for $50. You’ll make $2,500. If you teach 100 people, you’ll have $5,000. Let’s say you do the one-day seminar instead and charge tuition of $150. You’ll make $7,500 with 50 people ($15,000 if you teach 100 people!). I hope you are excited as I am about the opportunity to share these breakthrough Success Principles to others – and expand your own life and career in the process. People are eager to learn. They hunger for what can make their lives better. They yearn for expansion, fresh knowledge, and new skills. And now you can give it to them. An abundant and happy future is possible for everyone. All they need is guidance from you. You know deep in your heart that you are a great teacher and a capable facilitator. Put your talents to use with this powerful curriculum. I hope you’ll join me in helping others achieve their highest potential!